Clean eating and using “superfoods” to get healthy and stay young and fit has become the gold standard in healthy living. And when you think about it, it’s hard to argue against its principles of whole foods and plant-based nutrients. So it makes perfect sense that a product like Gundry MD Vital Reds is getting so much attention lately. While it does provide energy, Gundry MD Vital Reds is not a workout supplement per se. The energy you get comes not from stimulants, but from the rush of healthful nutrients, including polyphenols and natural fat burners. When taken daily, it promises a steady, youthful energy and vitality, and the opportunity to feel younger, more vibrant and productive than you have in years. We’ve been hearing quite a bit of buzz about this product, so we thought it was a good time to take a look and see if it’s worthy of the hype. According to the Better Business Bureau, Gundry MD has been an incorporated business since early 2014. Dr. Steve Gundry spent the early part of his career as a heart surgeon and in 2001 was Head of Cardiothoracic Surgery at Loma Linda University Medical Center. It was there that he encountered a patient that changed his career trajectory forever. This patient had been overweight and chronically ill, and he began seeing Dr. Gundry at a time when he too was overweight and on a collision course with heart disease and diabetes. The patient essentially healed himself with his diet. His arteries went from clogged to clear in six months, and when Dr. Gundry emulated the man’s diet for himself, he lost 70 pounds, lowered his bad cholesterol, and raised his good cholesterol. Today, Dr. Gundry is the Director of the Center for Restorative Medicine in Palm Springs, CA. His focus is on changing the way we eat and live in order to determine our own health outcomes. He’s written a best selling diet book: Dr. Gundry’s Diet Revolution: Turn Off the Genes That Are Killing You and Your Waistline. And now, through his Gundry MD company, he offers supplements, the most popular of which is Gundry MD Vital Reds. Now that we have an idea of where Dr. Gundry is coming from, we have a better context with which to understand his flagship supplement. Higher energy levels that take you through your entire day.. Improved digestion, with less gas and bloating. Better metabolism which adds to your overall energy. Improved weight loss and management. Healthier and better looking skin. Now let’s dive into the formula to see if and how Gundry MD Vital Reds really works. The best way to look at the Gundry MD Vital Reds ingredients is as 4 distinct blends, each with a specific function. Aronia Berries (aka Chokeberries) which are very rich in polyphenols and have been shown to prevent digestive system damage, lower bad cholesterol, raise good cholesterol, and improve blood vessel health. Grape Seed Extract which benefits the cardiovascular system and helps make it easier to manage body weight. Mulberry Extract which also promotes heart health while helping to maintain a healthy weight. It’s effect of reducing total and bad cholesterol has also been noted. Additional polyphenols in the formula include carrot, apple peel, flax seed, black currant, beet, cranberry, mango, papaya, acai fruit, strawberry, grape skin extract, blueberry fruit, pomegranate, blackbery, acerola fruit, red reaspberry, pineapple, orange, cantaloupe, grape, watermelon, grapefuit, plum, pear, lemon, lime, cherry, peach, and bererine hydrocholride. The Metabolic Boosting Blend helps to contribute to both the energy boosting and the weight loss effects of the Gundry MD Vital Reds formula. Cinnamon Bark which may help control blood sugar, managing the way glucose is used for energy. Ginger Root which increases body temperature and metabolism by up to 20% after ingestion. It is also commonly used as a digestive aid. Green Tea Leaf Extract which contains polyphenols of its own, called EGCGs, which can boost metabolism and fat burning as well as act as an antioxidant. White Tea Leaf Extract which also contains catechins along with caffeine for a metabolism boost. Bitter Melon Fruit Extract which has been studied and shown to improve metabolic dysfunction, potentially by increasing the function of AMPK. Black Pepper Fruit which increases the bioavailability of each of the other ingredients in the formula. Probiotics are basically the “good bacteria” you want in your gut to keep things running smoothly, to fight against “bad bacteria”, and to help optimize your gastrointestinal health. There have been several studies of some of the most popular strains, showing that probiotics can indeed be effective in fighting against bloating, gas, and diarrhea. Lactobacillus and Bifidobacterium are among the most common. In addition to aiding digestion, the use of probiotics has been connected to better skin, increased energy, a healthier immune system, and better mood.As more becomes known about this good baceria, more and more positive benefits are discovered. In our research we’ve found that in addition to the particular strain of probiotics, the most important factor in ultimate effectiveness is the number of CFUs, or Colony Forming Units.Generally speaking, the higher the CFU number, the more effective your probiotics will be. This is true to a point. If you’re healthy and you take too many CFUs, gas, bloating, and abdominal tenderness can be the result. The total number of probiotics in the Gundry MD Vital Reds formula is 3 billion CFUs This is in line with daily recommendations for healthy individuals looking to maintain normal digestive health. It’s also comparable to the amount found in several other competing products, such as Bio X4 and Probioslim. Increased amounts are recommended when your immune system is compromised or when you’re taking antibiotics. And 167% of the daily recommended allowance of Chromium. This mainly represents the B Complex of vitamins, which are known to be crucial to the chemical reactions our bodies engage in for optimal health while they provide all day energy and mood boosting properties as well. It’s also important to note what Gundry MD Vital Reds doesn’t have, and that’s soy, sugar, artificial sweeteners, or lectins (which can cause unwanted immuno-responses). Gundry MD Vital Reds comes in powder form. Using one measure of the scoop provided, mix it with a glass of water or other beverage and drink it once a day. It’s easily digested, and can be taken with or without a meal at any time of the day. Gundry MD states that you’ll feel a surge of energy right away, but that best results will show themselves after about 2-3 weeks of consistent use. None of the ingredients in the formula should cause more than the mildest, if any, side effects.Some may experience gas or some bloating from the probiotics, but these effects are generally mild, and they usually go away after consistent use for a few days. If not, back off your dose to half and see if that helps. If so, gradually increase back to full dose as you start to feel better. Gundry MD Vital Reds is not sold in stores (click here to see some that are), and apparently it’s only available directly through the Gundry MD website. With any of these packages, Dr. Gundry’s Diet Evolutionbook is available as an add-on for $9.95. Gundry MD makes a point of noting that by default, all sales are one-time only sales.This, of course, is a reference to all the “free trial” scams out there that lock customers unknowingly into a recurring billing nightmare when they thought they were just signing up for a one-time freebie. But they do offer a VIP membership program that basically gets you a 10% discount for signing up for automatic monthly orders. And the following shows the VIP discount you get when signing up to automatically receive monthly shipments. Be aware that even if you choose the 6 jar package, they’ll send you the 6 jars each month, which honestly doesn’t make a whole lot of sense to me. Who is going to use a 6-month supply in 1 month? But you can change, cancel, or update your subscription at any time. I’m assuming this means if you want to put off your delivery a few months you can. I’ve also seen feedback from customers saying that taking more than one serving per day gives faster, better overall results. All orders made through Gundry are covered by a 90-day no-questions-asked money back guarantee. The ingredients are all natural and considered safe and largely free from side effects. The website provides tons of information about Dr. Gundry, his history, and his products. The company has an A- rating with the Better Business Bureau. Several of the ingredients have been clinically studied and shown to be beneficial. Reviews are mixed so it’s tough to tell how well it’s really working for actual users. Clinical studies of key ingredients don’t necessarily reflect the same amounts that you’ll find in the Gundry MD Vital Reds formula. After putting in the time to find out the ins and outs of Gundry MD Vital Reds, I’d have to say my jury is still out. The sheer number of negative reviews bothers me because this is usually a very bad sign. But the fact that most of them talk about the high Amazon price softens that blow a bit. After all, you can get it for much less through the official site. The biggest point in favor of the product is Dr. Gundry himself. A lot of products say they’re backed by doctors, but trying to get information about what kind of practices they have or what research they’ve done is impossible – mainly because he doesn’t really exist. But this isn’t the case here. Dr. Gundry is the real thing. 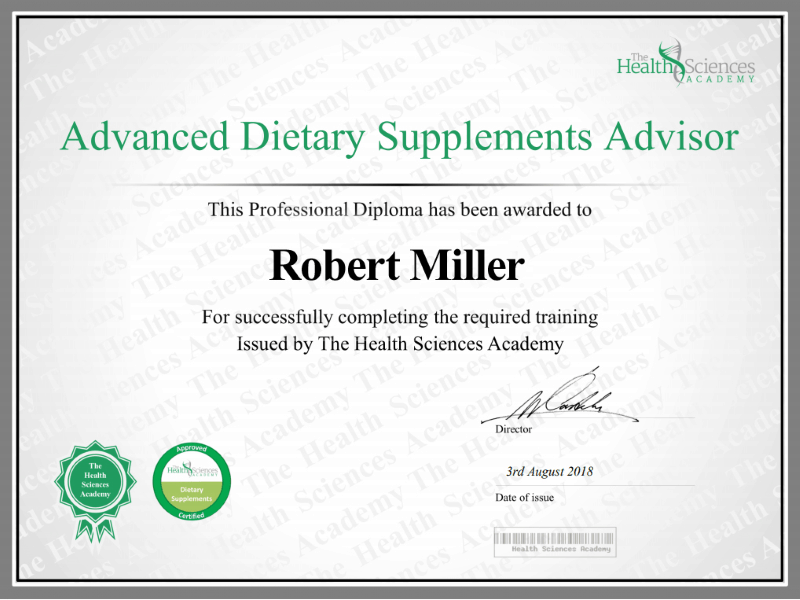 Whether or not he’s created the world’s greatest supplement is still up for debate, but he’s real, he’s well-educated and experienced in these matters, and he appears to be sincerely interested in helping people get and stay healthy. With the generous 90-day money back guarantee in mind, give Gundry MD Vital Reds a try and let us know how it works out for you. Have You Used Gundry MD Vital Reds? I've noticed an increase in energy right from the start. This really impressed me as I'm always tired. Hope to see it continue to help my health. Third day of using Vital Reds and feeling good about this product so far. Better afternoon energy for sure! After suffering a massive stroke at age 49 and being placed on dozens of Meds, my caregiver introduced me to Dr Gundry's book, The Diet Evolution. That got me eating healthier and seeking a way to increase natural supplements (and get off so many prescriptions). It did. Then Dr Gundry came out with Vital Reds. Wow! That was a game changer for me. I was able to get out of bed, into my wheelchair, and start living in my new reality because I had the energy to move and to want to have friends over again. Vital Reds does all it says and more! Thank you Dr Gundry. I am now taking 2 additional Gundry supplements and reading his newest book, The Plant Paradox. I’ve been taking Simple Red for a couple of years, and I love it. I’m in chronic pain and with meds and Simply Red, I’ve haven’t had any problems with constipation or stomach issues. I’ll get back to you ten years to let you know how my arteries are doing. The steady energy level really does lasts all day. I’m a mom of three, am currently in nursing school, and my husband is in Iraq. I need energy! This product is great! I felt sustained energy all day with no crash, and it tastes good, too.